This is part two in a series highlighting the multi-company pro bono cohort, the Global Health Corporate Champions (GHCC), serving in Kigali, Rwanda, from February to March 2018. The GHCC, an activity of USAID’s Global Health Fellows Program II, is implemented by the Public Health Institute in partnership with PYXERA Global. Read part one here. Think globally; act locally. This is the mentality CARITAS Rwanda embraces to achieve its mission. 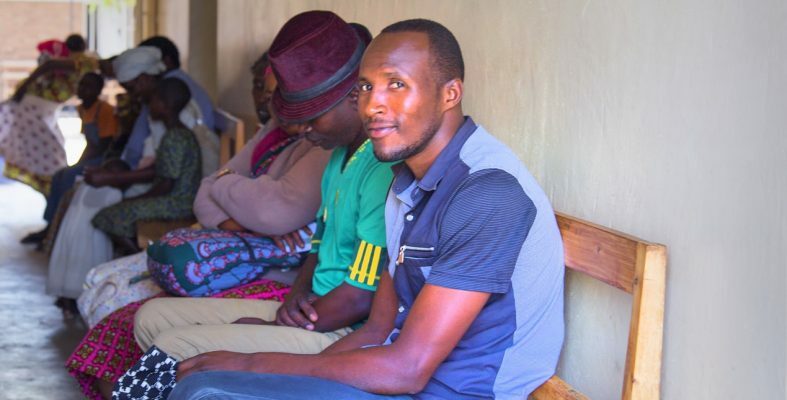 As one of Rwanda’s largest international NGOs, CARITAS manages nearly 30 percent of healthcare facilities in the country, each treating a range of health issues from HIV to malaria. The organization firmly believes that all interventions should address issues raised by the community, which is why it relies on CARITAS community volunteers and Community Health Workers, a government-funded national health program that places trained health workers in every village, to collect and report paper-based health data. Without their reporting support, CARITAS would not have accurate data at a scale sufficient to understand its target market. Dr. Prince-Bosco Kanani, Director of Rwanda Catholic Health Services at CARITAS Rwanda, recognized this reliance, along with the increasing need to manage its own digital database to inform decisions. His wish for support in this area was fulfilled soon thereafter when the Global Health Corporate Champions (GHCC) agreed to send a team of pro bono consultants to collaborate to develop a solution. The challenge of accessing reliable and updated health data is not exclusive to CARITAS. Overcoming such an obstacle for NGOs in Rwanda’s health sector has broad implications as it relates to making informed, evidence-based decisions. The challenge of accessing reliable and updated health data is not exclusive to CARITAS. Overcoming such an obstacle for NGOs in Rwanda’s health sector has broad implications as it relates to making informed, evidence-based decisions. The GHCC, an activity of USAID’s Global Health Fellows Program II implemented by the Public Health Institute in partnership with PYXERA Global, addresses immediate and emerging human capital needs in global health by utilizing the expertise of the global private sector. This highly collaborative team consists of private sector professionals who partner with local mission-driven health organizations to support their needs to build long-term capability identified as vital to their success. A team of nine individuals from The Dow Chemical Company, SAP, GSK, and WE Communications arrived in Kigali, Rwanda in late February 2018 to start a four-week engagement with three local health organizations, including CARITAS. During their immersive experience on the ground, the pro bono consultants leveraged their varied expertise and skills ranging from business, information technology, and project management to communications and public affairs. 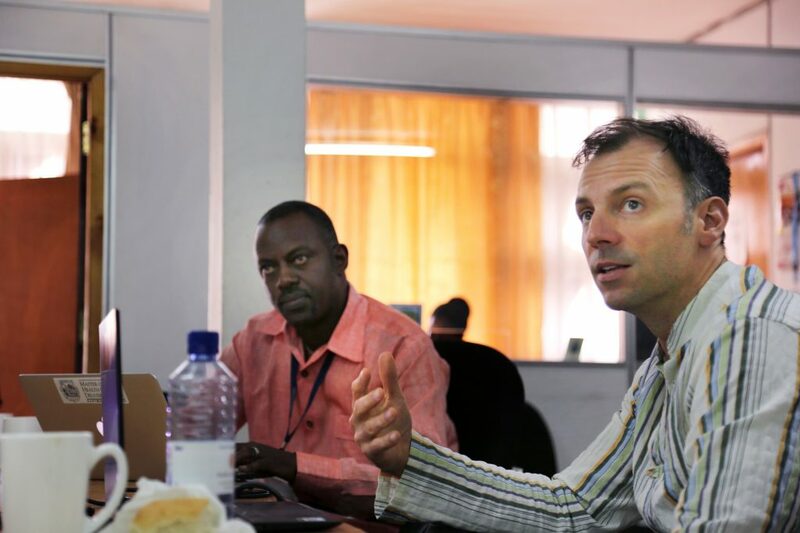 In the lead-up to the team’s arrival, the CARITAS Rwanda leadership determined that access to a digital health database would alleviate a core limitation to its successful delivery of quality healthcare. A team of three GHCC participants was asked to design a strategy for CARITAS to secure its own aggregated health data management system. CARITAS currently manages all of its data on paper, and while the local health facilities send digital data to the Ministry of Health (MoH) through its Health Management Information System (HMIS), that data is only accessible to the MoH. 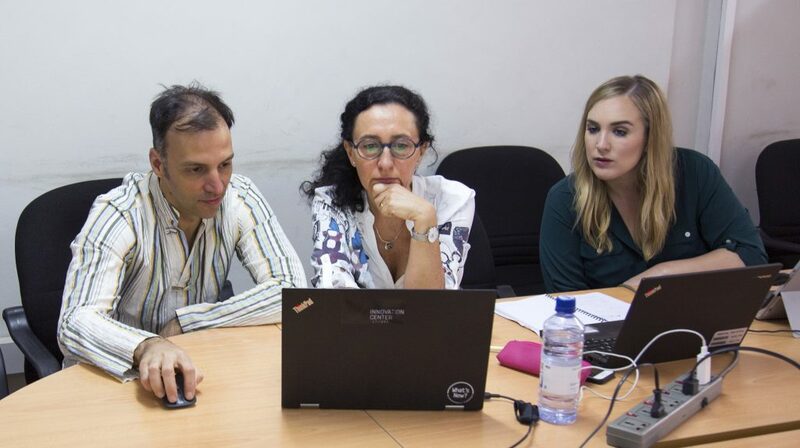 The GHCC CARITAS team collaborating to develop recommendations they plan to present to Dr. Bosco, from left to right: Dr. Péter Adorján (SAP), Marguerite Koutsoukos (GSK), Megg Dunlap (WE Communications). Dr. Prince-Bosco Kanani believes that for his organization to improve by basing decisions on evidence from the communities, it needs access to this relevant digital data. Although it is possible to collect the same data stored in the HMIS, the organization relies on a traditional paper-based data collection across 118 facilities, which is fraught with the potential for errors. The GHCC team analyzed three different options for CARITAS, providing a SWOT analysis, cost calculation, skill development plan, and implementation plan for each of them, to enable fact-based decision-making. CARITAS could build its own digital platform for aggregated health data, obtain access to the existing HMIS system, or obtain select individual access to the HMIS to export aggregated data. Dr. Prince-Bosco Kanani shared that the most challenging part of collaborating with the team was the convergence of different cultural approaches to problem solving. He always kept in mind that the team had positive intentions but the unique perspectives from such an international group led to communication challenges in Rwanda’s nuanced healthcare landscape. Nevertheless, at the end of the four weeks, the team had built a foundation of trust and understanding. Dr. Prince Bosco (CARITAS Rwanda) and Dr. Péter Adorján (SAP) reviewing possible solutions to give CARITAS access to digital data. “Although we have fully agreed on the need of digital access to healthcare data, we challenged CARITAS about the best approach on how to get there. We weren’t just challenging though, we would also go back and show we understood and shifted our proposals to align with our discussions. At the end, we have presented a detailed analysis of multiple solution architectures and execution plans. We are not taking the decision away from [Dr. Prince-Bosco Kanani]. The final decision is at his and his management’s hand,” said Dr. Péter Adorján, Principal Expert – SAP Health Innovation Hub in Potsdam Germany.